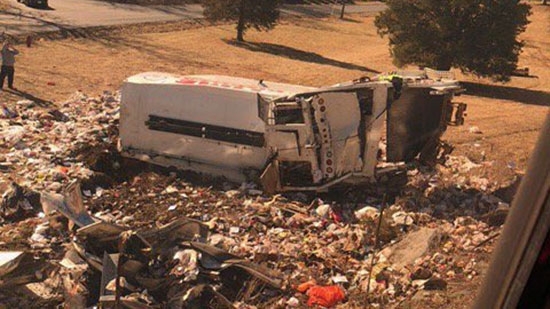 A chartered Amtrak train carrying Republican members of Congress, family members, and staff to the annual GOP retreat struck a tractor trailer carrying garbage that was on the tracks. It happened at 11:20 a.m. in rural Crozet, VA outside of Charlottesville. They were headed to The Greenbrier in White Sulphur Springs, West Virginia. Many members of Congress were on the train including House Speaker Paul Ryan. The trash truck was torn in two scattering debris all over. Many of the congresspeople tweeted that they were ok or had minor injuries suffered from the jolting stop. Several lawmakers who are also doctors got off the train to help those more seriously injured in the truck. The White House has confirmed one fatality and one seriously injured. The GOP retreat this week will continue as planned; they will continue the trip by bus. The NTSB is investigating the crash. U.S Democratic Congressman Bob Brady of Philadelphia announced today that he will not seek reelection. The 72-year-old Brady has held the seat for 20 years. In a press conference, Brady said, "Today, I am choosing family over service" and "it's time for me to come home." He also mentioned part of his reason was the redrawing of districts following the gerrymandering lawsuit. He did say that last year's federal investigation into his campaign has nothing to do with his decision. Two of Brady's aides were charged with sending $90,000 in 2012 to a political rival to drop out of the race. Brady has denied any wrongdoing and has not been charged. Brady plans to remain the leader of Philadelphia Democratic Party. The Department of Justice has decided not to retry New Jersey Senator Bob Menedez and Florida eye doctor Salomon Melgen after a judge threw out some charges last week. The first trial ended in a hung jury last fall. Menedez was accused of trading political influence for gifts and campaign donations from Melgen. Last week, U.S. District Judge William Walls threw out 7 bribery charges related to the campaign donations. The defense argued that those donations had to be tied to a specific act to be considered a bribe. That was the standard applied to the bribery charges related to gifts given. It is believed that as many as 10 out of 12 jurors favored acquittal at the November mistrial. It is possible the DOJ no longer saw a chance for conviction.